Coming from working in restaurants for half my life I have become used to using certain tools when cooking regardless of my experience or knowledge. I was recently asked by Eat Smart to review their newest product - EatSmart Precision Pro Digital Thermometer - Instant Read w/ Splashproof Design and Backlit Screen. I was more than glad to add to my list of kitchen gadgets. One of those tools I previously mentioned not being able to live without has always, always been a thermometer. I can honestly say by just touching and looking at a steak, how it is cooked and even what temperature it is at (or any other meat for that matter). It is just something you learn after spending so much time in a kitchen and at a grill. However, that doesn't mean I prefer to make my educated guess and especially when my cooking reputation is on the line. With how frequently I cook for family and friends, I don't want to take chances on anyone's health. 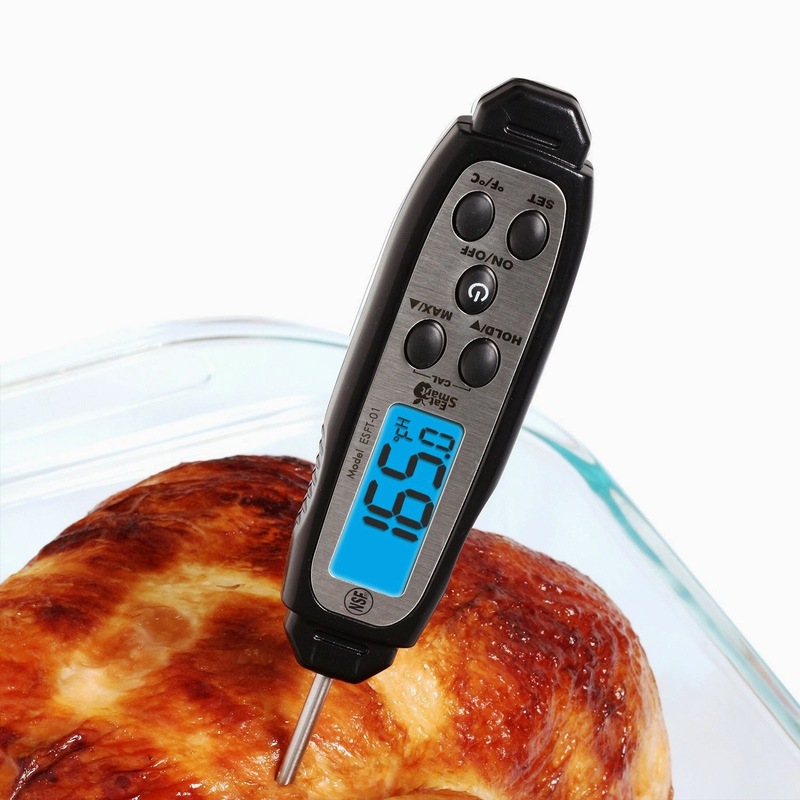 Precision Pro Digital Thermometer has a 1.5mm folding step down probe which instantly reads the temperature (ranging from -40 to 450 degrees Fahrenheit). Not only does it measure the temperature in 5 seconds or less but the step down probe helps reduce the puncture mark size in the food. This one is so much easier to use than the two I previously had. The "hold button allows internal temperature to be "held" on the display". This has a splash proof design which makes cleaning super simple. Regardless of where I am, you will find me using my new thermometer to be sure my meat has been cooked to temperature. "EatSmart is not only dedicated to bettering the lives of our customers, we are also committed to making a difference in the world. 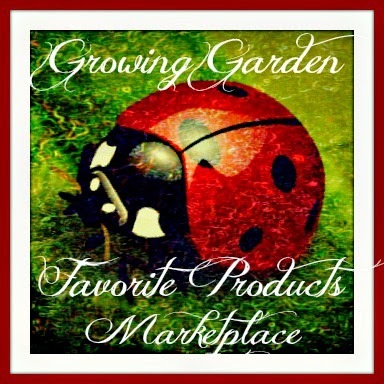 Every month we make a donation to a different charity from the sales of our products. As we continue to grow, EatSmart will be contributing to local community events which support healthy, active lifestyles." Recommendation: This is a great purchase at this price for something so nice and definitely a company worth checking out other products from as they are high quality (compared to what I've seen elsewhere). 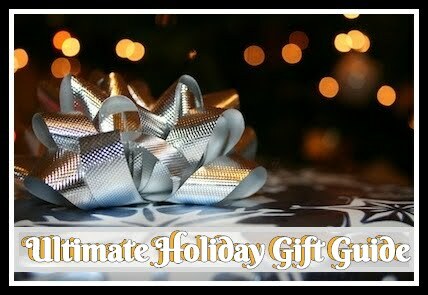 This would make a great gift for the kitchen chef or even someone with less experience to have around the home. Giveaway: EatSmart is going to give one of A Lucky Ladybug's lucky readers a Precision Pro Digital Thermometer of their own! Steaks, burgers and chicken. We love bbq'ing in the summer. I like my husband's BBQ chicken recipe. My favorite thing to grill is rib-eye steak. I like to grill chicken that has been marinated in olive oil, lemon juice, garlic and oregano. I love to grill beer can chicken. We do a lot of grilling. I would say this would come in most handy, for grilling chicken. I am a freak about getting it to the right temp, and always end up drying it out. I like to grill salmon steaks with dill sauce. I LOVE A BIG JUICY T-BONE STEAK ON THE GRILL. Not a favorite recipe, but meat in general? My husband insists meat should be bloody and pink inside; me, I don't think it's safe to eat anything a veterinarian could still revive. The thermometer would solve a LOT of grilling arguments. We love making bleu cheese burgers on the grill so I would use this to make sure the burgers are thoroughly cooked. I love grilling bbq chicken breasts but am always afraid they will be under done. this would be great to have to put my mind at ease! My husband BBQ ribs, are great! I like making all sorts of vegetables on the grill, since I am a vegetarian. I would use this primarily for baking instead. We love to BBQ sausages on the grill. We will likely do that this year too. We could use this to cook some potatoes on the grill. 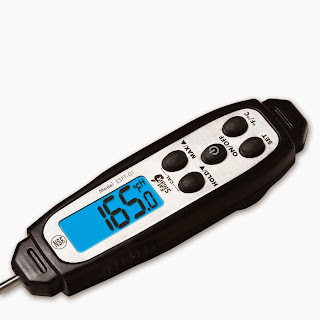 I just got a new smoker and I will need a good thermometer to check brisket, pork shoulder, chicken and other meats. I'd use it for grilling chicken. I do a lot of BBQing of chicken and really do need a thermometer to tell me if the chicken is done. Brisket for sure! We love to BBQ all sorts of things, but Brisket is a favorite! I like to slow-cook and grill chicken. We love to grill chicken, pork and steak all the time. Yummy!! 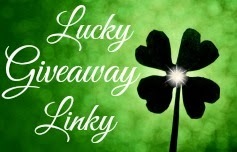 Thank You for the giveaway…we cook mostly steaks & chicken on the grill during the summer; thermometer is great to use when cooking, especially chicken !